Ladies and Gentlemen! Announcing the Run Geordie Run Ball, to be held at the Gosforth Park Marriott on September 3rd 2011! This will be a celebration "extravaganza" for a successful 3100 mile run across the USA and a thank you to all of those people who made it possible. A fun filled evening of entertainment is already being planned by an experienced committee that I assembled this week. The host and theme of the evening is yet to be decided upon but as soon as details are known you'll be able to read about it here. We can't all go to the USA together, but you can bet your bottom dollar the best of the USA will be coming to Gosforth next year! Tickets for the evening are strictly limited to 400. I've had a lot of enquiries for tickets since announcing the event on Facebook and Twitter last week and early indications are that it will be a complete sell out. With that in mind, I've set up an online ticket reservation form. 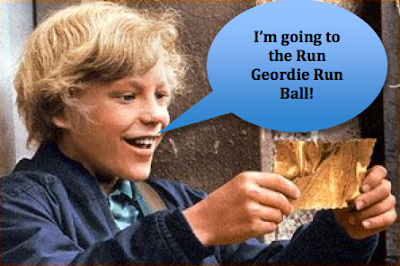 If you're interested in attending the Run Geordie Run USA 2011 Ball then please click here to reserve your tickets. Payment for the tickets is not due until the Summer of 2011 when all details of the Ball will be known. They are sold on a first come first served basis so don't delay in expressing your interest. Woah! No sooner do I report a fund milestone then another one comes along. Last Friday the fund passed £14,000. Today the fund passed £15,000. 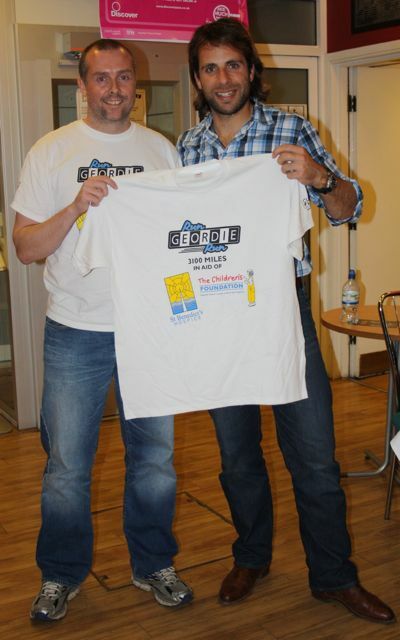 Thanks to everyone who has donated or bought a Run Geordie Run t-shirt this week. Don't forget that for every £10 t-shirt sold before midnight on 31st August, Digital Spark Ltd will donate a further £5. So that's £15 to charity for your £10 donation. Over 600 Run Geordie Run t-shirts (as modelled by our intrepid hero to the right) have been sold so far. There are less than 100 left with no guarantee that any more will be made. In fact, if I don't find another t-shirt backer then there will be no more. So get them while you can folks! Run Geordie Run t-shirts can be ordered here. On Monday, I saw the NHS physio, assigned to my case, for the last time. I explained to her all that I had been doing in the pool, the stretches, the gym work and even the impromptu 2 mile run that I'd done last week. I also told her that I still didn’t have the complete range of movement yet in my ankle. Her response was much the same as the last time I saw her 5 weeks ago. "It’s probably the metal work causing an obstruction" she said. Unlike last time, however, I wasn’t willing to accept this as the reason. In my opinion and that of the registrar and my private physio, it will be a good few months before I have that full range of movement. 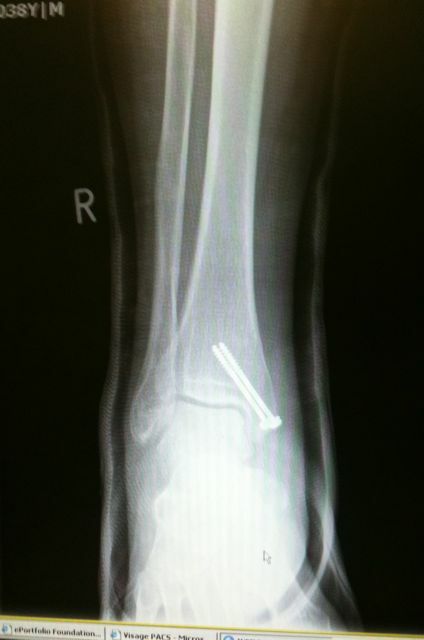 I showed her my x-ray and she agreed that the pins were not the reason for the lack of a full range of movement. Because my operation had been performed in a different health authority to hers she didn’t have access to my x-rays, so it had only been speculation on her part. Relief all round! But it had being playing on my mind for 5 weeks! At the end of the consultation, she said that she was pleased with my progress and that there was no more she could do for me over and above what had already been done. This was excellent news and another milestone on the road to recovery. Her advice in those early days following the removal of the cast had been followed to the letter and I’m sure is one of the reasons why I’m making such good progress with my rehabilitation. Later in the day I saw physio Kevin Bell at The Osborne Clinic. Amongst other things, Kevin had given me the go ahead to do a 24 minute routine the day before I was due to see him (3 minute warm up, 6 x (2 minute jog, 1 minute walk) and a 3 minute cool down). I had managed that with great ease after I walked the 10.5 mile Peter’s Pies 6 Tyne Bridges Challenge, walked 1.5 miles to the match, celebrated 6 goals, walked another 1.5 miles back to my car and finished up with my mini trampoline exercises. At the end of the consulation with Kevin (who used to be one of Newcastle United’s physios incidentally) he decided to let me do some more running this week. This schedule started yesterday and involved a 3 minute warm up, 6 x (3 minute jog, 1 minute walk) and a 3 minute cool down. Tomorrow is a 3 minute warm up, 4 x (5 minute jog, 1 minute walk) and a 3 minute cool down. I also run on Saturday, finishing up on Monday with a 3 minute warm up, 2 x (15 minute jog, 1 minute walk) and a 3 minute cool down.). Now if you’d told me 4 weeks ago, never mind 13 weeks ago when I broke my ankle, that I’d be running by August, I would never have believed you. I’ve always had it in my mind to be starting to run again by the end of October. When I was lying on the floor with a broken ankle on 23rd May 2010 I even thought that being able to run by January 2011 wouldn’t be too much of a didaster in terms of getting ready for USA 2011. Last night’s session on the treadmill was very easy indeed. As with the impromptu 2 mile run last week, it left me wanting to do more. I’m, once again, following the physio’s guidance on this one and will be resisting the urge to run further and faster. The one observation that I have so far is that once I get going on the treadmill the Paddy Power Bionic Ankle feels very comfortable and there is no sign of any pain or even the slightest twinge. I am running very slowly, however. As this running week progresses I’ll be increasing the speed ever so slightly each time. As well as running this week, I’ll be doing the usual stretches and mini trampoline workout. I'm back! 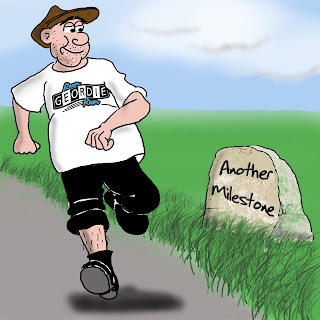 I'm delighted to report another charity fund milestone so soon after the last one! As I reported earlier this week, I've been trying to get 3000 followers by the end of August on Twitter. The so called "Cash For Followers Coalition"of Digital Spark Ltd, Fix My Alloys and Will Banks (aka @CancerMatters) promised to donate £500 if successful. Thanks to so many people spreading the word on Twitter, the 3000 follower mark was passed this afternoon. Much to my delight and relief, I must add! It's such an intricate and widespread web of people and followers, that it's very difficult to pin point all of those helpful folk who have helped with this. It's been one big team effort and both myself and the 2 charities will be eternally grateful. In all the excitement of reaching 3000 followers I almost forgot to tot up the latest charity total. The latest total is (drum roll........) £14,426. For my US followers that's 22,409USD. As always, I can't resist converting to Japanese Yen and it's a grand total of 1,921,975JPY. Wow! The fund is almost at 2 million Yen! Thanks to the "Cash For Followers Coalition"of Digital Spark Ltd, Fix My Alloys and Will Banks (aka @CancerMatters). Thanks also to all of those kind folk who buy t-shirts, CDs, download the Run Geordie Run MP3s from iTunes or make a good old traditional pledge. Current stocks of Run Geordie Run t-shirts are very low. There are currently only small, medium and large sizes left. I'm on the look out for a new backer to pay the £500 (plus VAT) production costs for a batch of 200 t-shirts. This will allow the full £10 from the sale of every t-shirt to go to St Benedict's Hospice and The Children's Foundation. Custom Planet produce the screen printed t-shirts at cost price right here in the North East. The last batch of 200 t-shirts yielded £2300 for the 2 charities as some kind folk have felt inclined to pay more than the £10 asking price. If you or your company would like to pay for a batch of 200 t-shirts then please get in touch at sponsorship@rungeordierun.com. In return, you'll get some excellent publicity on www.rungeordierun.com and your company name or logo can be featured on the sleeve of each t-shirt. This Saturday sees the 2nd ever NUFCTWEETUP. For those not in the know, it's a social gathering of Newcastle United supporters who communicate on a regular basis via Twitter. 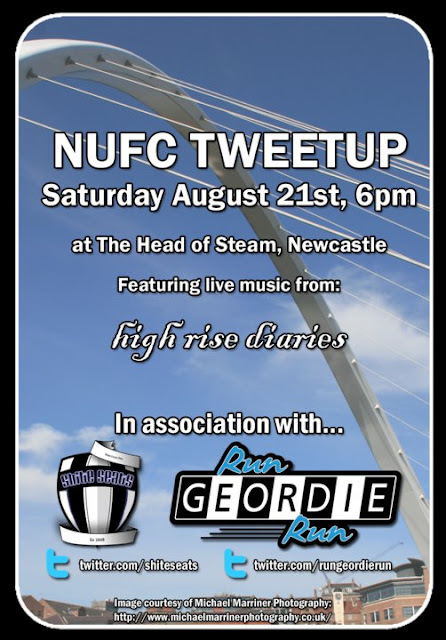 Amongst other things, I'll be introducing the excellent local band, High Rise Diaries who will be wearing Run Geordie Run t-shirts for a couple of tracks. I'll be sure to get a plug or two in there for USA run next year too! There will also be a raffle for an oil painting of Alan Shearer's final goal for Newcastle, scored against Sunderland. It promises to be a packed evening of entertainment and footy banter. And if that's not enough, the last few Run Geordie Run t-shirts will be on sale too. Yes folks stocks are very low. Get em while you can. If this was Parliament, Run Geordie Run would be in big trouble. Thankfully, it's for charity and the "Cash For Followers" scheme on Twitter which was originally solely backed by Digital Spark Ltd now has some new parties at the table. Regular readers and Twitter followers of @rungeordierun will remember that Digital Spark Ltd offered to donate £100 to the two charities if I could reach 1000 followers before the end of June. That was successful and was immediately followed with a challenge of reaching 2000 followers before the end of July for a £200 donation. As I said before, there are some new parties offering to donate cash to the two charities. The "Cash For Followers Coalition"are Digital Spark Ltd (£300), Fix My Alloys (£100) and Will Banks (aka @CancerMatters) (£100). 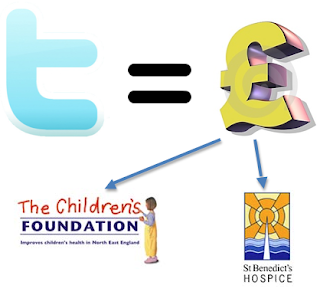 So the charity cash incentive for reaching 3000 followers before the end of August is a whopping £500. At the time of writing, @rungeordierun has 2771 followers on Twitter. Another 229 followers in the next 15 days will release that £500 donation. Thanks to Digital Spark Ltd, Fix My Alloys and Will Banks for putting up the cash for this challenge. If you're on Twitter and would like to follow @rungeordierun then please click here. Run Geordie Run says "thank you". Many thanks to Fitness Superstore for their kind sponsorship and donation to St Benedict's Hospice this week. 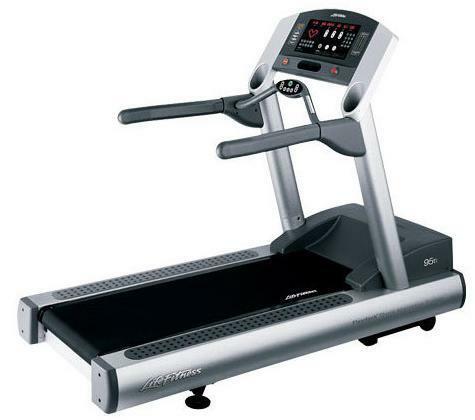 If you're in the market for a treadmill, or almost any other piece of fitness equipment for that matter, then their website is well worth a look. 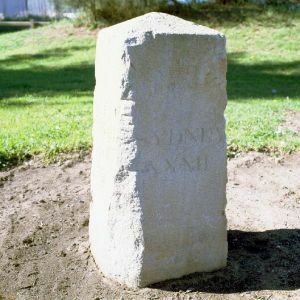 Please click on the logo to visit the site. Run Geordie Run on the BBC. I had the great pleasure of being interviewed yesterday, live on BBC Radio Newcastle by the lovely Sue Sweeney. I've listened to Sue for years and it was a real thrill to finally meet her in person. A more bubbly and vivacious character you are never likely to meet! I was really pleased with the interview and I was able to plug both charities, the Run Geordie Run t-shirts and give some details about the 3100 mile run itself. I was also asked about the Great North Run which may be used in the up and coming promo pieces on BBC Newcastle. It's a sign of my progress over the last couple of years that I took this interview in my stride without any sign of nerves at all. I've already got a lot of interviews lined up next year in the USA and being confident in them and being able to "sell" the run to the American public is very important indeed. 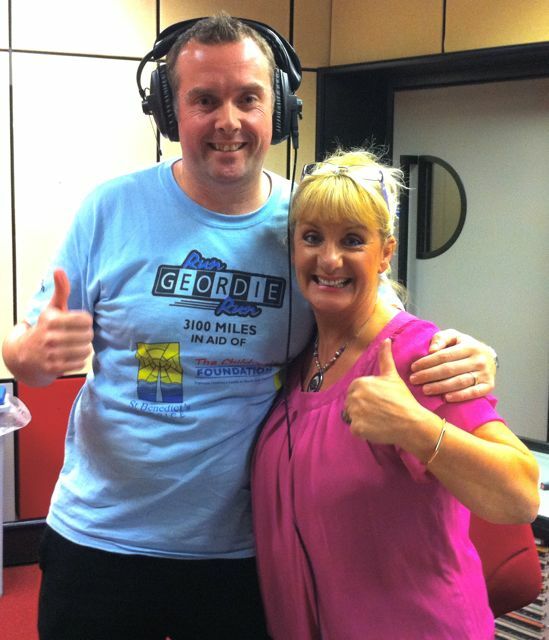 Many thanks to the BBC and Sue Sweeney in particular for letting me talk about the run live on air. You can here the full audio (courtesy of John Iley) here. 3 years ago, I was arriving in Lands End having run 874 miles from John O'Groats in 37 days raising £34,108 for St Benedict's Hospice. This time next year, if all has gone to plan, I will be crossing the finish line in Coney Island, having run 3100 miles from Huntington Beach, California. The amount raised by then will be anybody's guess but given the generous nature of donations so far I'm quietly confident of raising at least £50,000 for the two amazing charities that are The Children's Foundation and St Benedict's Hospice. The feeling that I have now is not that dissimilar to how I used to feel as a wee bairn about Christmas Day in October. I'm very very excited about setting off from Huntington Beach in California next year. Even more so, given the amount of support I've got on Twitter, Facebook and out there in the real world. The support, at times, is overwhelming. For me, it really does pay to, once in a while, take a step back and have a think about that level of support. Sheeesh! Yep! Amazing and humbling all in one. All that remains is for me to perform good enough next year to warrant that support. I've come to realise recently that Run Geordie Run is no longer the fundraising efforts of one overweight lad from Newcastle. Run Geordie Run is now a team effort consisting of me the runner, hundreds of well wishers and good folk willing to spread the word about the run across the USA. Don't forget about the people who serve to inspire me such as the staff at St Benedict's Hospice and those involved with the projects at The Children's Foundation. More recently I've been inspired by other fundraisers such as Ivan and Nadine Hollingsworth and Andrew Sinclair (more on that later this week). Add to that the companies and individuals who have given so generously and I soon realise that the fundraising efforts of Run Geordie Run is only made possible by one huge (almost unquantifiable) team effort. One day, I'd like to pen my own version of that. The full advert can be viewed here. Some have hailed it "the best record shop in the world". It has seen the likes of Sting and Paul Weller through it's doors. It has won awards from respectable sources in the industry such as NME. 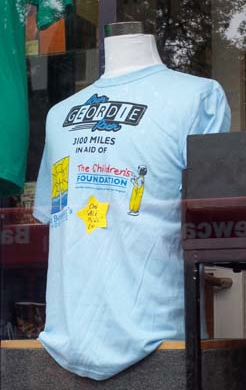 It gives me great pleasure and pride to announce that, Steel Wheels in Newcastle now stocks the famous Run Geordie Run charity t-shirts (pictured in the shop window). Yes ladies and gentlemen, they are available on the high street! Steel Wheels is located on St Mary's Place, right opposite the Civic Centre and halfway between Luckies Bar and Haymarket Metro station. I always find it very difficult to get my head around just how much stock they have. So if you're after something rare or even mainstream I'd be very surprised if they didn't have it in stock. They even stock memorabilia and autographs from the likes of Sir Paul McCartney, Bob Dylan, The Who and Take That. Anyway, I would highly recommend checking out the shop for yourself. If you can't get into Newcastle then the Steel Wheels website is here. In the meantime, I'd like to give a big thank you to Rob at Steel Wheels for stocking the Run Geordie Run t-shirts and passing on 100% of all sales to St Benedict's Hospice (Charity No 1019410) and The Children's Foundation (Charity No. 1000013). That deserves a huge round of applause! Oh please don't forget that for every Run Geordie Run t-shirt sold in August, Digital Spark Ltd will donate a further £5 to the 2 charities. So your £10 plus a further £5 making £15 goes to charity. All £15 of it, by the way! Nobody but the 2 charities makes any money from these t-shirts. I've said it many times - "That is exactly how we like to do our fundraising at Run Geordie Run". This has only been made possible by the fact that Custom Planet produce the t-shirts at cost and my friends at nufc.com paid for those production costs. Run Geordie Run t-shirts can be ordered on-line here. It's been 2 weeks since the charity fund burst through the £12,000 barrier. 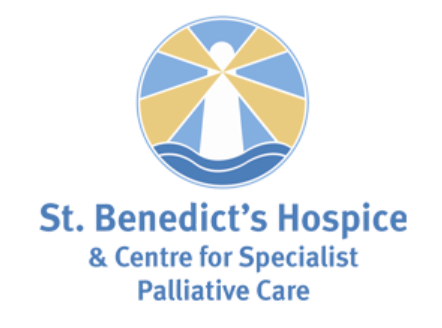 This week, much to my astonishment, the fund for St Benedict's Hospice and The Children's Foundation has burst through the £13,000 barrier and currently sits at £13,038. For my US followers that's 20,800USD. It's a very impressive figure in Japanese Yen with a grand total of 1,785,973JPY. Whichever currency you convert to, thanks to the generosity of so many kind folk, I have now reached over 1/4 of the fundraising target. I've said it on countless occasions but that remarkable generosity is something I never take for granted, by the way. There are 40 weeks left until the run across the USA starts. I really do wonder what the final total will be by the time I reach New York in August 2011. Just to give you an idea of where the money goes, this video should explain a little bit more about one of the two charities I raise funds for. Watch out for yours truly near the start!